We were recently invited to take part in a Top Secret Spy Mission by Spynet HQ. 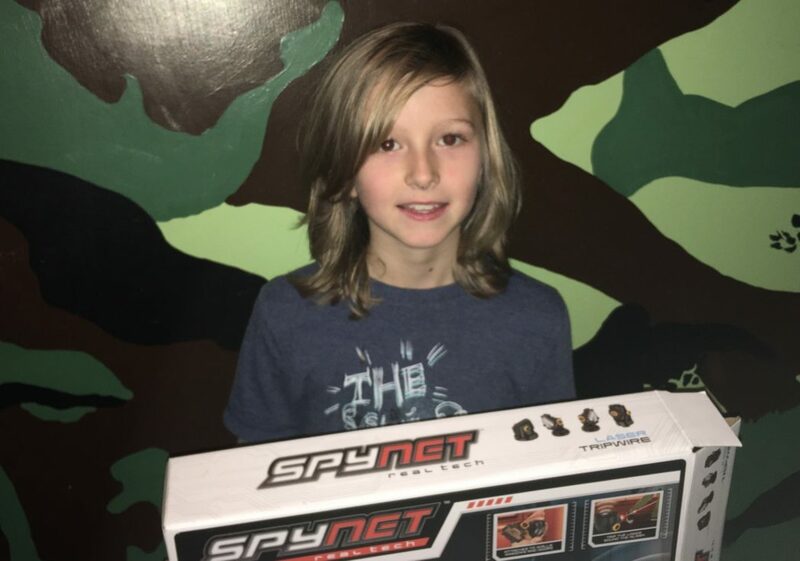 When LV found out he was going to play at spy’s he was over the moon and when the box arrived containing the Spynet Laser Tripwire he immediately set about deciding how he was going to set it up to protect his room from the enemy AKA The Big Sisters. Priced at just £24.99 the Laser Tripwire consists of a transmitter, two mirrors and a receiver. Everything is adjustable so it is easy enough to align the laser, although it can get a little tricky once they are more than a few feet away from each other or when you’re trying to be clever and have all the bits on different levels. The mirrors do have suction cups on the bottom and you are meant to be able to get them to stick to surfaces like walls and windows. I have to say that although we failed miserably to get them to stick to our walls but this didn’t take away any of the enjoyment at all. It actually meant that he thought of more creative ways to position the mirrors, like tying them to his bed frame! We didn’t attempt them on the windows, I’m pretty sure they would have stuck really well on the shiny surface. The alarm that goes off once the laser is broken is quite loud and likely to send any would be invaders scarpering. Being typical teenagers the girls soon got bored of being test subjects to LV’s tricks and so he set about testing if he could stop himself getting past the lasers. This lead to some hilarious limbo moves, think of a not so refined Oceans Twelve! 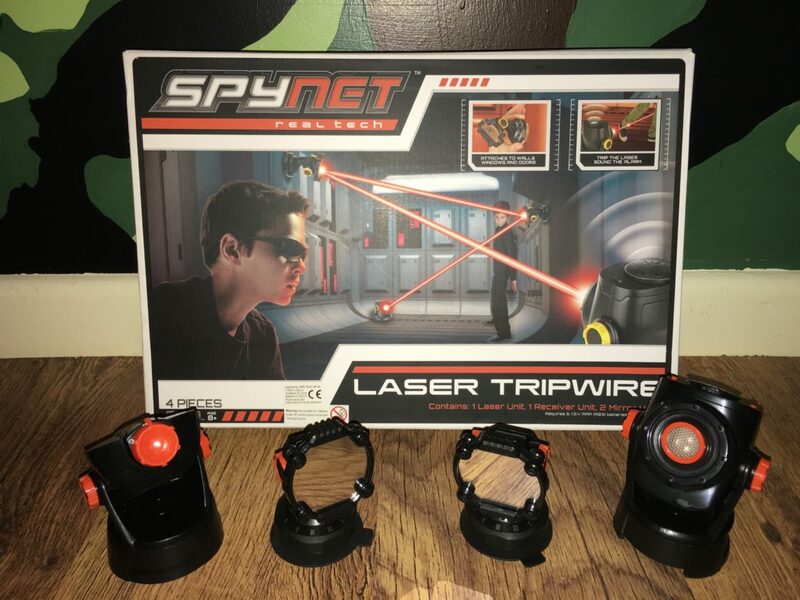 LV’s final word on the SpyNet Laser Tripwire is that it is really cool and great to trick people with. The only thing that would make it better would be able to reset the alarm by remote control so the receiver doesn’t need to be right next to the exit. Oh, and to not try attempting a burglary with a two year old! Do your kids like playing spies?